Mrs. Beatrice Joyce Rowe Kamer, age 75, of Garrison, Kentucky, passed away Tuesday afternoon, October 16, 2018, at her residence. She was born June 8, 1943, in Stark County, Ohio, a daughter of the late Elmer Rowe and Irene Adkins Rowe Duff. 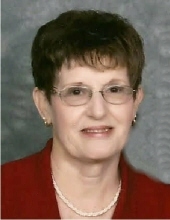 Beatrice was a member of Bivens Chapel Church and worked as a Medical Assistant. She enjoyed going to church, cooking, sewing, and spending time with her family and friends. In addition to her parents, she was preceded in death by one grandson, Adam Lewis; one son-in-law, Mitch Lewis; and one brother, Glenn Rowe. Beatrice is survived by her husband of 57 years, William Leslie Kamer Sr.; one son and daughter-in-law, William Leslie Kamer Jr. and Georgeann of Tollesboro, Kentucky; one daughter, Glenna Dian Kamer Lewis of Whitehall, Ohio; four grandchildren, Ethan Kamer, Lacy Lewis, Parker Kamer and Katelyn Kamer; two brothers and sisters-in-law, Roger Rowe and Geneva of Vanceburg, Kentucky, and Ronnie Rowe and Donna of Garrison, Kentucky; and two sisters and one brothers-in-law, Marilyn Virgin and Roger of Cincinnati, Ohio, and Donna McClurg of Butler, Kentucky. She also leaves many other family members and friends who will sadly miss her. Funeral services will be held at 11 a.m. Saturday, October 20, 2018, at the Bivens Chapel Church with Brother Roger Clark, Brother Ronnie Conley, and Brother Roger Virgin officiating. Burial will follow in the Waring Cemetery in Garrison, Kentucky. Friends may visit from 6 p.m. to 8 p.m. Friday, October 19, 2018, and after 10 a.m. on Saturday at the Bivens Chapel Church, 4411 Kinney Road, Garrison, Kentucky 41141. Ethan Kamer, Parker Kamer, Gabe Standley, Gage Yates, Rick Kamer, Keith Kamer and Jeff Kamer will serve as pallbearers. Lacy Lewis and Katelyn Kamer will serve as honorary pallbearers. In lieu of flowers, the family request that donations be made to Bivens Chapel Youth, P.O. Box 100, Garrison, Kentucky 41141. Globe Family Funeral Chapel in Garrison, Kentucky, is caring for all arrangements for Mrs. Beatrice Joyce Rowe Kamer. "Email Address" would like to share the life celebration of Beatrice Joyce Rowe Kamer. Click on the "link" to go to share a favorite memory or leave a condolence message for the family.